Traffic Racer is an arcade racing game developed by SK Games that can be downloaded for iOS or Android devices alike. 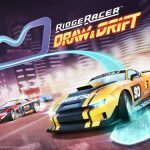 As the title of the game suggests, your racetrack is the highway, and that’s where you can earn money for upgrades, as well as new cars. 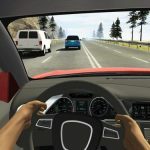 Of course, your goal is to be the fastest driver out there and to reach the top of the leaderboards, and it’s all up to you how you want to get there – the game boasts of realistic physics, 31 different cars (all fictional, but close enough to their real-life equivalents), five environments, and five game modes, including endless. 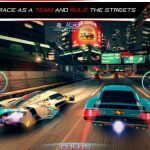 Endless Mode is, we’d figure, the mode you’d probably want to focus on, given the popularity of the whole genre, but regardless of how you prefer to play the game, we have some exciting Traffic Racer cheats, tips and hints that will help you make the most out of any, and every mode supported. Coins can be earned based on several things. First would be the distance your car is able to travel, second is the number of close calls (“close shaves”) you pull off above the 100 KPH threshold, third is how long you can drive faster than 100 KPH. 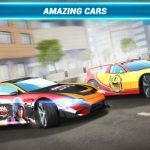 Keep these three methods in mind whenever you’re driving, and you can earn more points and more coins, especially in Endless Mode. You can also earn money in Two-Way Mode by going the wrong way – the longer you go in that direction, the more you can earn. Once you’ve got your coins, you can then spend them on upgrades for your vehicle. We suggest prioritizing the Speed upgrade, as that’s going to help you drive a longer distance and earn more coins for yourself. There’s also the Brakes upgrade, which we don’t recommend since your brakes are decent enough even in the early goings. Lastly, we’d also suggest you pass on a Handling upgrade, as many players are able to go far without having to purchase one. Close shaves, as we mentioned above, are events in which you nearly crash but emerge unscathed, and pulling them off can help you earn some coins. But you can actually string multiple close shaves together – if you are able to do this in succession, while driving over 100 KPH, you can get upwards of 700 points per shave, and naturally, a corresponding number of coins. We’re going to pass on the Police Chase and Free Ride modes, as we figure they aren’t the most popular ones out there. As for Time Trial, you’d want to play this mode if you’ve become quite adept at playing Traffic Racer. All Time Trial runs last for just 60 seconds, though you would be able to increase your time limit if you’re able to avoid traffic. Also, you won’t lose by crashing in this particular game mode.